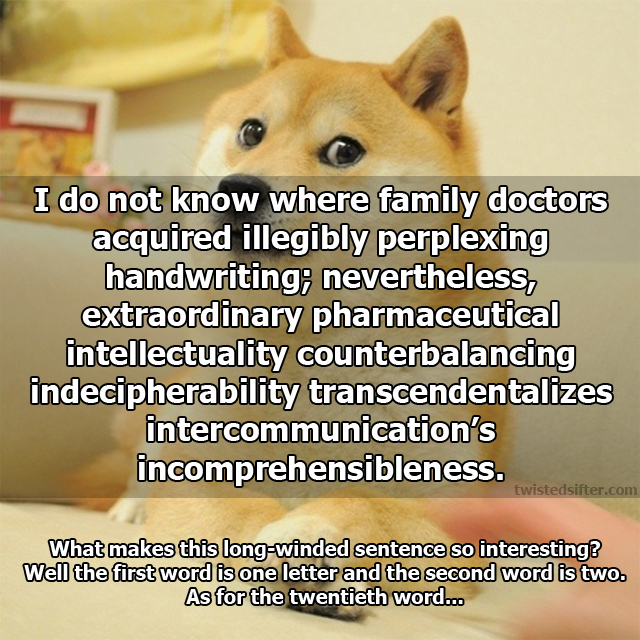 I do not know where family doctors acquired illegibly perplexing handwriting; nevertheless, extraordinary pharmaceutical intellectuality counterbalancing indecipherability transcendentalizes intercommunication’s incomprehensibleness. Here we see a twenty-word sentence where each successive word increases in length by a single letter until we arrive at incomprehensibleness. A literary gem!